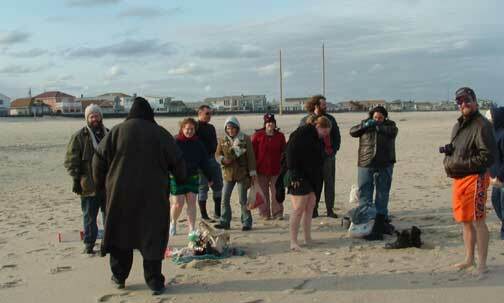 GOG's Equinox Day Beach Ritual attracted 15 Druids and a number of seagulls. 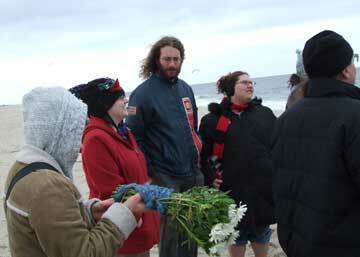 Offerings were made in a full ADF rite to Ancestors, Nature Spirits (mostly the seagulls), Gods and Goddesses, and especially to Manannan Mac Lir, the stormy sea God who is our grove's patron Gatekeeper. 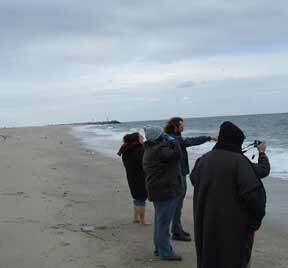 The gray sea was our well, the bright sun our fire, and kelp (floating from the bottom of the ocean to the surface) was our tree. 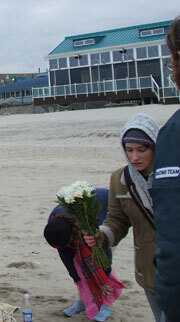 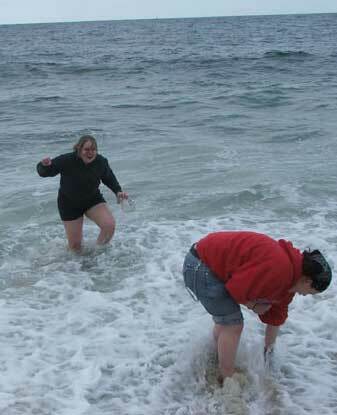 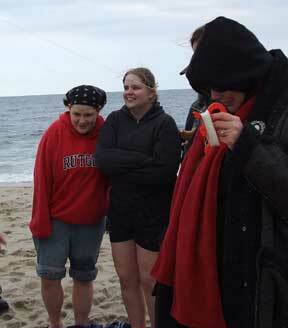 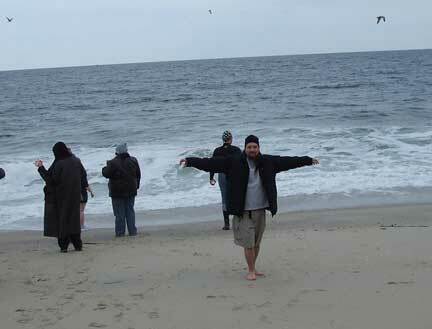 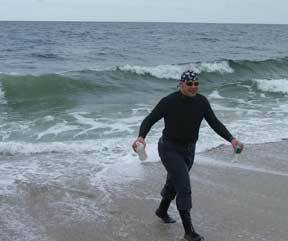 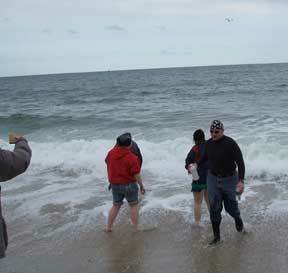 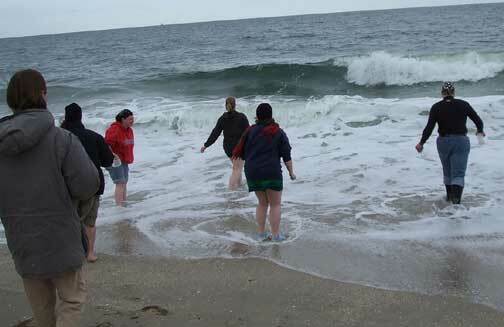 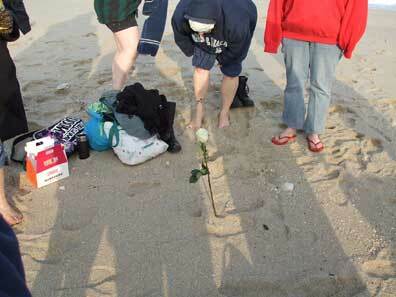 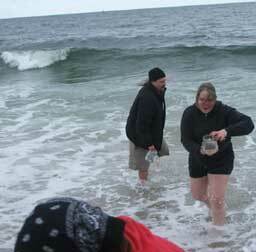 We collected the waters of 9 separate waves for our sacred well-gate, somewhat freezing our tootsies off. 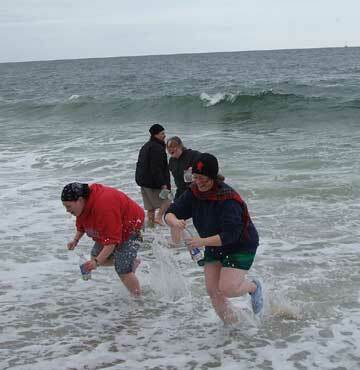 We then retreated to the Atlantis Diner for hot food and beverages.